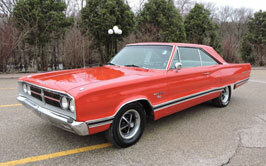 Cars-On-Line.com selected a 1964 Mercury Marauder Fastback as its classic car Deal of the Day for Saturday. They pre-announced their Deal of the Day in the Friday edition of the Cars-On-Line.com newsletter. When the Mercury Marauder Fastback came unto the NASCAR racing scene in 1963 it represented a game change in the racing world. Parnelli Jones won three races that year in a Marauder Fastback. 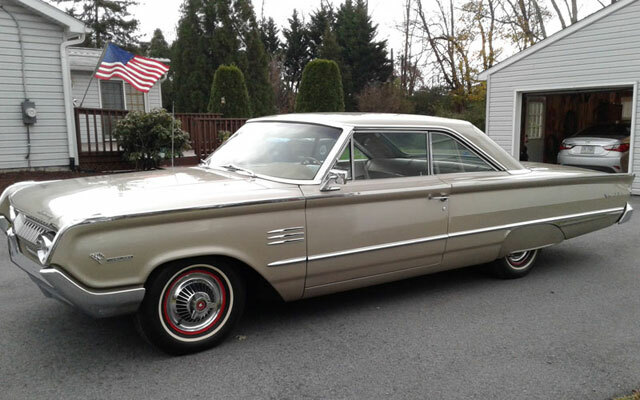 By the time this 1964 Mercury Marauder Fastback came out a year later Mercury was already getting more respect from the younger new car buyer. A private seller from West Chester, Pennsylvania says the car just turned 70,000 miles. (Follow this link to review the online posting and find out how to contact the seller.) It has the 390 engine, Edelbrock aluminum heads with rare Ford cast iron headers, Holley 500 cfm 2-barrel carb, electronic ignition, and automatic transmission. Look at the photos to get an idea of the condition. It is a driver quality car that might be a keeper. The reason it was selected to be their DEAL of the DAY is because the asking price is $16,500. That is a discount to the market on American muscle cars. This is a banner week for low price bargains. The preview gives you first shot at all the cars that will be highlighted in the Cars-On-Line.com Deal of the Day feature on their desktop home page. Often these cars sell in the newsletter before they even make it to the home page! You’ll always see them here first though. For a look at all of next week’s Deals of the Day follow this link to the fresh edition of the Cars-On-Line.com newsletter.